Before I had even left my home state of Illinois, I had predisposed ideas and theories about what I would gain from my experience studying abroad. In part, I blame a quote I had read by John Green: “I’m in love with cities I’ve never been to and people I’ve never met.” I became completely convinced that it was true. It was a year ago that I decided I needed to get away in order to figure out who I was, what my purpose would be and the direction my life needed to move in. It was dramatic. After I was accepted into an American university in Rome, I continued in my somewhat theatrical phase of wanting more from my life that, compared to the thought of living in Europe, suddenly felt bland. I began quoting Elizabeth Gilbert’s Eat Pray Love, and I was absolutely wild over the idea of being on my own. I had a set plan: I’d leave and find myself and come back with a renewal, a readiness to conquer the world. How cliché. I returned to the view of fraternities from my dorm room window, a stern refusal to touch the “Italian” food in Baldwin and a deep disgust for college students who drink wine from a bag. Franzia makes me cringe. But besides the adjustment to a more American college lifestyle, I came back more internally confused than confident to conquer. It is true, I had fallen in love with travel, languages and cultural differences that for me had once gone unnoticed. I had gained an appreciation for my own Italian roots and an awareness of the Mid-Western bubble I had been raised in. But all of my expectations were wrong. What I had gained was far greater than my figures, predictions and anticipations. What I took away was a renewal of perspective rather than physical being. I returned as a person who had grown up and changed for the better. 1. Disconnect is freedom. Before I left for Rome, there is no doubt that I was addicted to social media, texting and, ultimately, my iPhone. By some sick joke of fate, my iPhone mysteriously stopped working 10 days into my stay. At first, I felt entirely isolated from family, friends, news and everything else taking place in the United States, but, after a few weeks, I realized I had not missed my phone at all. While the friends I had met in Rome were whipping out their smart phones to snap pictures, I learned to capture the moment more physically and mentally—a way that I realize, in retrospect, was more memorable. I was more aware of my surroundings, the thoughts in my head and the growth I was experiencing as an individual. I was less worried about what my friends were doing, less distracted by the drama taking place on Twitter and less consumed by what my plans were going to be. I began to focus more on what was important and appreciating the very moment I was in. Considering my experiences, I challenge you: cut yourself off from unnecessary technology for one week and see how free you feel. 2. Diversity is Everywhere. When I left for Rome, I was prepared to meet people from all parts of the world. It is true, I did. I shared classes with students from Syria, Serbia, Jamaica, Kuwait, Switzerland, Russia and Italy. I traveled and met Australians, New Zealanders, Brits and Dutch, but, more than any other country, I met students from all over the United States. Strangely enough, it was in Rome that I realized how diverse America is. I met students from New York to Texas, Florida to Washington. I realized that the U.S. varies more in values, beliefs, hardship and ways of upbringing than it is does in terms of accents. I learned to adapt to new reactions, accept different ways of expression and value different ways of thinking. I was humbled by those who had endured hardship that I could not imagine and I learned the most from people I had nothing obviously in common with. Finally, I learned that diversity is in our neighbor, the kids we do not know in class, college faculty of any rank and in the strangers we pass without saying hello. 3. Discomfort is Growth (Travel is Valuable). I arrived in Rome without knowing anyone. I applied independently so I did not have a program to hang with and I was living off campus so I did not have access to a central dorm to socialize in. 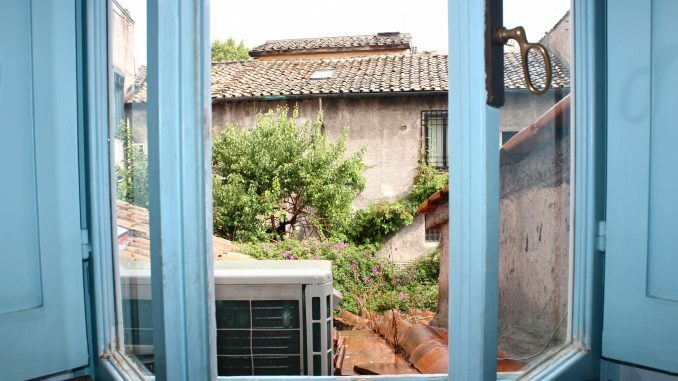 Although I did have two roommates and made many friends, experiencing Rome on my own forced me to deal with much of my growth, hardship and wonder independently. There were times when I felt lonely and confused and I asked more questions than I found answers to, but all of these things made me better, stronger and more well-rounded. I had time to reflect on my individual development, my thoughts and questions. I had more time to absorb all that was happening to me and there was not a single day that I was too busy to be grateful for. I realize in retrospect that being abroad on my own made me grow up, it gave me a backbone and it taught me how much more is out there. It widened my perspective and demanded that I think bigger than myself. My initial reasons to leave and live among 2,000-year-old ruins for four months were centered around me: what I would gain from the experience, how I would grow as a person and how I would discover who I was. What I took away was far more than what I expected and greater than any personal gain. I learned to observe beyond what surrounded me, beyond my Midwestern upbringing and beyond what was in it for me. When you begin to see the world, you realize how big it really is. You realize how much more there is to people, to individuality, to strangers, to simple conversations, to wandering and to discovering. You begin to zoom out of a life once seen only through your eyes, and think bigger. During the first few weeks of my trip I admitted to a good friend that I felt I had been raised in a sheltered environment. His response to me was perfect: “It is the truly sheltered who don’t realize that they’re sheltered.” I realized that we cannot control where we are raised, what we have learned thus far or if our initial beliefs are adopted from our parents. What we can control is the decision to step outside that bubble and experience all there is outside of it. While I would encourage anyone and everyone to study, intern or live abroad if given the opportunity, I also admit that these lessons can be learned without moving 4,000 miles away from home. Independence can be experienced in any situation that puts a person in an uncomfortable situation and forces them to deal with it. Diversity is not defined by the difference in the color of one’s skin or the language that they speak; diversity is defined by a difference in hardship, experience, backgrounds and anything else that makes them their own individual. Most importantly, perspective is a work in progress, a combination of strange angles we gain from meaningful interactions and an outlook meant to be broadened by our own conscious effort to do so.